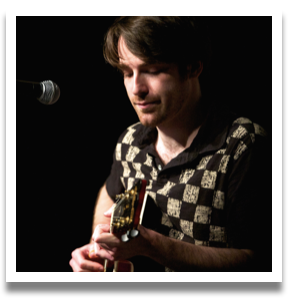 This Scottish born fingerstyle virtuoso has a passion for acoustic guitar and traditional and Celtic music. In Tony’s hands, the complex ornamentation normally associated with fiddles and pipes are accurately transferred to guitar. His crystal clear and pure sound is not to be missed. 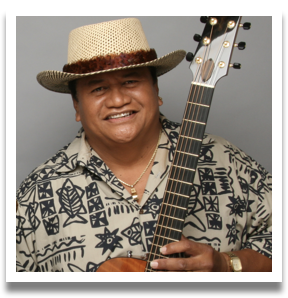 LEDWARD KAAPANA A master of the slack key guitar, Ledward has been one of Hawaii’s most influential musicians for four decades. His mastery of stringed instruments, his exceptional picking style on slack key guitar and ukulele, and his extraordinary baritone falsetto vocal range, have made him a musical legend. With easy-going style and kolohe (rascal) charm, he has built a loyal corps of “Led Heads” from Brussels, to his birthplace on the Big Island of Hawaii. In 2011, he was honored with an NEA National Heritage Fellowship for his artistic excellence and his contributions to our nation’s traditional arts heritage. Recognition by his peers earned Led four Grammy nominations in his own right and three wins on slack key compilations. He has won multiple Na Hoku Hanohano (Hawaii’s “Grammy”) awards, including Favorite Entertainer of the Year in 2009. Brittany and Spanish Galicia), Golden Bough has become a popular and in-demand group on both sides of the Atlantic. Since their formation in 1980, this trio of modern day minstrels has traveled great distances to numerous countries, to bring their music to enthusiastic folk fans the world over. 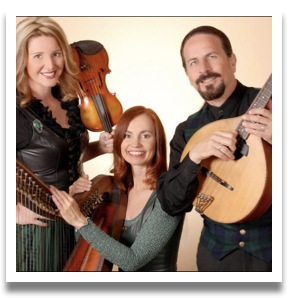 Golden Bough captures the essence and joy of traditional music. A Daniel Castro Band performance is soulful, polished, and intense as the group shifts from onescintillating groove to the next. Daniel covers lead vocals and rhythm and lead guitar with amazing dexterity. Musical chemistry is obvious from the first note the band plays and it never lets up. The group’s strong arrangements, including three-part harmonies, and its use of dynamics and feel, propel each song forward and leave audiences in awe of a trio that sounds so full. “We play big,” says Perper. Others agree. “I can’t believe how full the band sounds. I close my eyes and am sure you’re a five or six piece band–unbelievable!” says Bernard Butcher, producer of the Blue Wing Blues Festival. Grammy nominees for their last four CD releases (2009, 2007, 2006 and 2013) and International Tango competition winners (New York, 2004), Quartet San Francisco expresses itself in its agility and standout virtuosic playing. 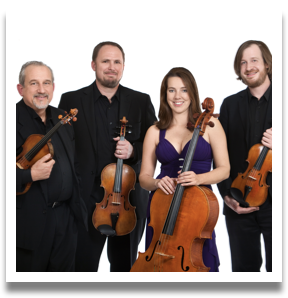 Quartet San Francisco was founded in 2001 by celebrated Bay Area violinist and composer-arranger Jeremy Cohen. He is joined by violinist Matthew Szemela, violist Chad Kaltinger, and cellist Kelley Maulbetsch. 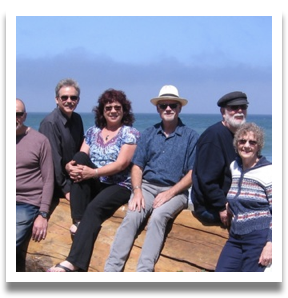 As crossover specialists QSF excels in multiple styles — from jazz to tango, pop to funk, blues to bluegrass, gypsy swing to big band and beyond. It’s not surprising that Tim and Myles Thompson’s new album, Time4Me2Go, is filled with complex, masterfully played tracks. Fans of their live shows are frequently dazzled by the often otherworldly, synchronized unity of their music. After all, the father / son duo have been playing together now for, basically, all of Myles’ 22 years. Live, the Thompsons present high-octane instrumental and vocal duets of improvised originals and classics reminiscent of legendary artists such as Chet Atkins, Stephan Grappelli, Chick Corea, Jackson Browne, Sam Bush and more. Although influenced by the masters, their down-to-earth style is all their own — a one-of-a-kind combination of improvisational jazz, traditional folk, singer-songwriter, country, rock and world music. Joni filled the hall last year at her special tribute to the queen of country music, Patsy Cline. 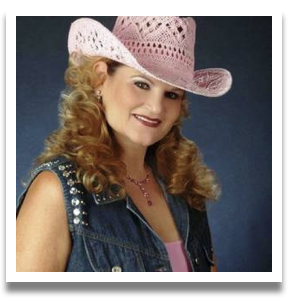 Now she is back with her new show, “Legendary Ladies of Country Music.” Joined by her talented Jordanaires-singing style band “After Midnight,” Joni performs the hits of Kitty Wells, Loretta Lynn, Tammy Wynette and many more. Joni sings each song brilliantly and adds dazzling costumes and comedy too, but nothing shines so bright as her ability to connect with audience. She is becoming well-known for her great audience interaction. We had so many requests to bring her back to Pacifica, we brought her back as soon as we could! The Farallon Quintet, founded in the summer of 2012, is a dynamic Bay Area ensemble and the only professional chamber music group focused exclusively on the clarinet quintet—string quartet plus clarinet—repertoire. In addition to playing the classics, the group seeks to perform rarely heard works as well as new music by living composers. With at least 160 existing clarinet quintets to choose from, the group offers diverse and engaging programs to the general public. 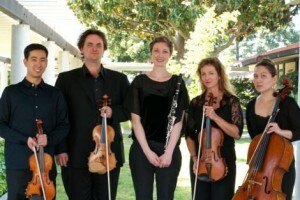 The quintet is made up of leading Bay Area musicians—Natalie Parker, clarinet; Dan Flanagan and Matthew Oshida, violins; Elizabeth Prior, viola; Jonah Kim, cello—who are principal players in such orchestras as the San Francisco Ballet, Santa Rosa Symphony, Marin Symphony, Berkeley Symphony, Fremont Symphony, Modesto Symphony, and the Sacramento Philharmonic. As an ensemble, the players recently received a grant from San Francisco Friends of Chamber Music to record and release their debut album in early 2015. 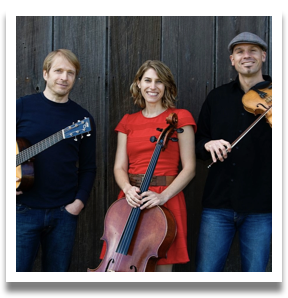 This newly formed trio of seasoned musicians from the San Francisco Bay Area, including a former member of concert hall favorite, Molly’s Revenge, have just recorded their first CD. They Play traditional and original music from Ireland, Scandanavia and Galicia, plus som J.S. Bach pieces, on guitar, fiddle and cello. Mildred Owen Hall’s own house band, with seven musicians and two vocalists, plays swinging, danceable music from the Great American Songbook and Big Band era. They will also introduce some original material. Led by Norman Dutton. Optional dance lessons with dance instructor extraordinaire Chuck Dee will begin at 7:15. Meg and Billy have been making music together for 25 years. 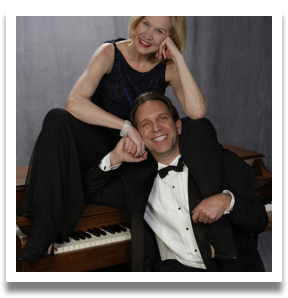 Bay Area audiences love Meg’s sultry contralto voice and Billy’s lively piano playing. This show titled “Two of a Kind” includes songs from Broadway, film and the Great American Songbook, plus unexpected, seldom-heard tunes. Always an enjoyable evening with these two! The County Line Trio performs their tribute to the famous Kingston Trio. Their shows are filled with the many hit songs of the Trio and a delightful helping of tongue-in-cheek humor that would make even the Smothers Brothers envious. With the original Kingston Trio constantly topping the charts with songs like “Tom Dooley,” “Lemon Tree,” “This Land is Your Land,” “Scotch and Soda,” and “A Worried Man— songs so timeless they literally travel the decades with new fans — it is no wonder why in 1969, three guys decided they were going to be a Kingston Trio tribute band. Original members of that band — Millbrae-raised Tod Brendlen on vocals, banjo and guitar, San Mateo-raised Dean Hammer on vocals, guitar and conga drum, and Fort Bragg-born Bud Olsen on vocals and guitar — were so good, the Kingston Trio were fans. 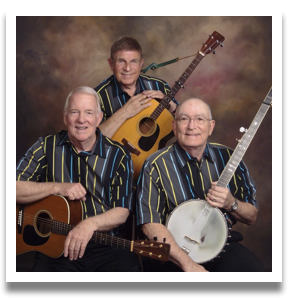 In fact, they’ve been called the “museum version” of the Kingston Trio. Recently, Bob Lawrence, once an early part time member of the band, joined County Line as a regular member, playing guitar, banjo and joining in the vocals. This is a return engagement, and a word of advice to ticket buyers, last year’s concert was packed! A fun-filled gregarious 8 piece ensemble, Zooma Zooma, pays tribute to the music of Louis Prima and Keeley Smith and the days when swing was king in Vegas. 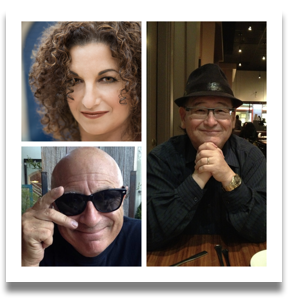 Vocalists Vice Grip and Kat Parra, along with musical director/ trumpeter John Worley, join together to bring you tunes like “Ol’ Black Magic”, “When You’re Smilin’”, “Hey Boy, Hey Girl” and other hits. Vice Grip is a 30 year veteran of the swing and punk scene in SF. He’s fronted The Ambassadors of Swing, a big band playing the music of Cab Calloway; The New Morty Show and St. Vitus Dance. Vice posses a quick wit, sharp tongue and has entertained the public for the last 30 years with a vocal style uniquely his own. Kat Parra, an award-winning composer/vocalist, has released four critically acclaimed CDs. 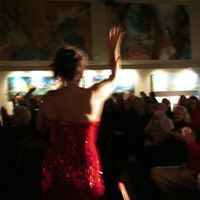 Invited to perform in Amsterdam, Brazil and Mexico as well as top-tier venues throughout the United States, she earned the designation “Best Latin Jazz Vocalist of 2010 and 2008” by Latin Jazz Corner, and received a 2008 nomination for “Latin Jazz Album of the Year” from the Jazz Journalists Association. Musical director John Worley -always looking for a new challenge – a new reason to bring together a band that swings, has had great success lately re-creating the magic of the bygone eras of jazz. This is the night you’ve all been asking for! 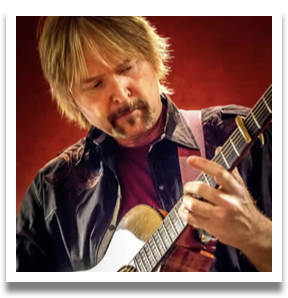 They’re back – Pacifican guitarists, Chris Cobb, Jim Nichols and Mike Tyler return to our Hall with their wonderful talents and wide range of guitar styles to rock, roll, and mesmerize you! This is a very popular evening of music and virtuosity, from soup to nuts, so get your tickets now and plan on a great night of killer grooves and knock your socks off playing! 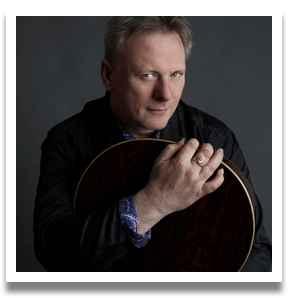 Fingerstyle guitarist Jim Nichols has played at such venues as Carnegie Hall and the Tonight Show. On the short list he’s recorded or gigged with such artists as: Kenny Rankin, Chet Atkins, Hubert Laws, Buddy Montgomery, Van Morrison and Toots Thielemans. Blues guitarist Chris Cobb has toured and recorded with such folks as “Sista” Monica Parker, E.C. Scott and Mitch Woods. 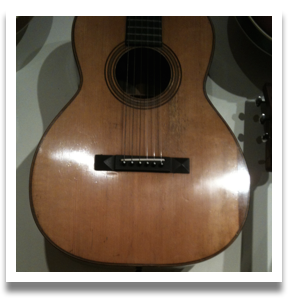 He is the co-owner of Real Guitar, San Francisco’s oldest vintage guitar shop, which welcomes such regular customers as: Bonnie Raitt, Bob Dylan, the Black Crowes, Neil Young, The Killers and Tracy Chapman. 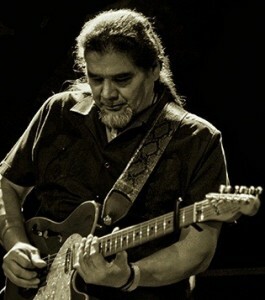 Rock guitarist Mike Tyler has been featured multiple times in “Guitar Player,” and is one of the legendary guitarists with the progressive rock, jazz, blues, Afro Cuban band, the Bartron Tyler Group. Giacomo Puccini’s tragic love story “Tosca” is re-set by Verismo Opera Company to take place in 1944. It tells the tale of a beautiful celebrated singer, her lover–the painter, and the ruthless police chief who will stop at nothing to possess her. Fully staged and costumed with chorus and supertitles. A classic, beloved opera. The most award-winning guitarist in recent memory is David Grier. For the past several years, he has been voted by the members of the International Bluegrass Music Association as Best Guitar Player of the Year. 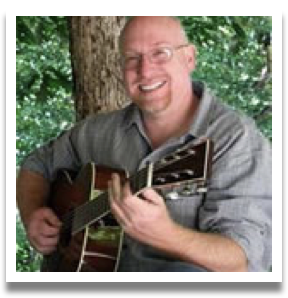 He has also appeared on two Grammy- winning recordings: “True Life Blues-A Tribute to Bill Monroe” and “The Great Dobro Sessions.” David is also included in the book, “1,000 Great Guitarists.” His inspiration to learn guitar came from exposure to Bill Monroe while his father, Lamar Grier, played banjo for the Blue Grass Boys in the middle 1960s. David’s first solo recording Freewheeling appeared on Rounder Records, as did his acclaimed 1991 duet project Climbing the Walls with mandolinist Mike Compton. David’s Lone Soldierproject is listed in Acoustic Guitar Magazine’s “100 Essential Acoustic Guitar Recordings of All Time. ” His most recent solo release, Evocative, (Dreadnought 2009) features 10 original tunes and a rich complement of collaborators, including Victor Wooten, Paul Franklin, Stuart Duncan and more, has been hailed for its “deep musical introspection” as well as its “unmatchable mastery of the guitar” (Martin Mull). Other Dreadnought releases include the highly-acclaimed Live at the Linda and I’ve Got the House to Myself His work is also captured on a Homespun video called Building Powerful Solos. David maintains an unqualified standard of excellence in guitar playing – accurate, intelligent and inventive. “About 10 years ago while doing a show in the state of Washington a young teenage guitar picker named Sean Weaver found his way to our sound check. I noticed he had his guitar so I asked him to play a tune with us. It was a great thrill to watch him just starting to find his way around a guitar. 10 years or so later this kid is a monster! All he needs is the chance to be heard ’cause he’s got game!” – Vince Gill, Grammy award winning Singer/Songwriter/Guitarist, and Country Music Hall of Fame Inductee. Nobody plays classic jump-blues and jazz with more punch and authority than Lavay Smith & Her Red Hot Skillet Lickers. Fronted by the sultry Smith, an alluring singer whose style draws on Dinah Washington and Bessie Smith, Billie Holiday and Little Esther Phillips, the band performs tasty arrangements of tunes from the 1930s, ‘40s and ‘50s, as well as original numbers, for fans across the United States, Canada and Europe. The seven-piece Red Hot Skillet Lickers, led by arranger and pianist Chris Siebert, features a rogue’s gallery of robustly swinging soloists who cut their teeth with everyone from Big Joe Turner to Ray Charles. From Bessie Smith to Duke Ellington. Skyline College Concert Choir invites you to A Musical Feast for the Holidays – a choral concert about everyone’s favorites – food and drink! The program will feature musical selections celebrating the edible abundance of harvest time as well as the season’s plentiful libations. Excerpts from Purcell’s King Arthur and J.S. 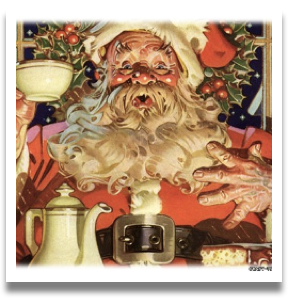 Bach’s Coffee Cantata will top our menu; these early music morsels of non-holiday fare will be served alongside savory courses of opera excerpts by Offenbach, Strauss Jr., and Gilbert and Sullivan, refreshing modern treats by Leonard Bernstein, and contemporary musical theater desserts. In addition to traditional carols and seasonal music, we will also offer our audience tasty holiday favorites such as Fruitcake, We Wish You A Merry Christmas (We won’t go until we get some figgy pudding…), and The Christmas Song (Chestnuts roasting on an open fire…). The Curios are back to present their 17th annual Winter Concert. 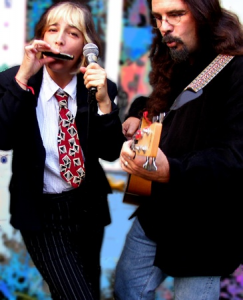 Award winning singer/songwriters and multi-instrumentalists Nancy Hall and Lee Parvin are the creative core of their own band The Curios. Together with a stable of talented friends they build what Northern California Songwriter has called a “wonderfully eclectic, quirky and beautifully complex musical universe.” Don’t miss this one of a kind musical evening. Over the last forty years, High Country has earned its place as the West Coast’s premier traditional bluegrass band. Strongly influenced by the classic styles of Bill Monroe, Flatt & Scruggs and the Stanley Brothers, the band’s blend of banjo, mandolin, fiddle, dobro, guitar, and bass delivers the upbeat excitement of true bluegrass music. High Country’s show offers a vital mix of powerful originals and standards, from blues to breakdowns to gospels sung in close harmony. Even the songs and tunes written by band members themselves remain true to the genre, with careful attention paid to the nuances of the bluegrass style. With driving rhythm, skillful picking and soulful singing.